Up to your ears in zucchini during “zucchini season”?? Looking for different ways to use up this green stuff ?? 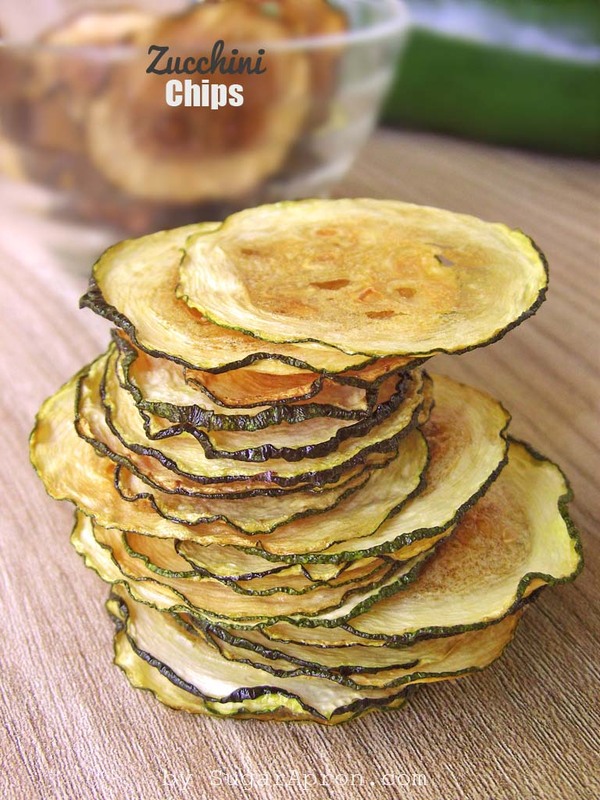 How ’bout Zucchini “Chips” ? Well, these chips make a healthy substitute for potato chips and to be honest, I wasn’t even sure that it would work, the first batch I made pretty much turned to ash. Heating them WAY too much with a too much oil, but second batch, however, were so marvelous just like typical fried potato chips! So glad to find your recipe for zucchini chips. I’m on a low carb diet so, no potato chips. But, have a good crop of zucchini. Problem solved and I’m not cheating.B-) Thank you again. Thank you Marsha ! Enjoy! I see the ingredients but no recipe? How did you crisp them: Oven or skillet? This post includes two pages, please check for preparation method on the second page. Is it 225 degrees Fahrenheit or Celsius? Yes,it is in Fahrenheit,lower temperature is required, because zucchini need to be dehydrated. 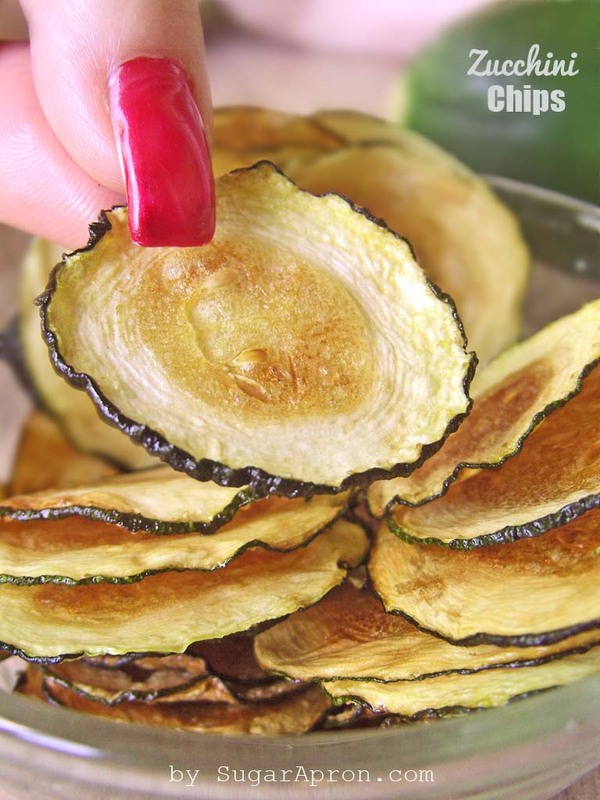 For how long do you bake these zucchini chips?? Hi Sue,bake for 45 minutes. Rotate baking sheet, and bake an additional 40-50 minutes, until they start to brown and aren’t soggy and are crisp. How long should be in the oven for? How do you slice them so thin? If these get chewy can they be put back in the oven to crisp back up? can I use my dehydrator rather than the oven?